The most picturesque maybe area of the town of Poros is the area of St. George. A small cobbled square with the Church of St. George and the shop of Grivas - on one edge - and a small church to another. Two, three other small shops around complete the graphic image of the square. In the Square of St. George, next to the small church, was formerly the first aqueduct of Poros, from which it took water the people of Poros. 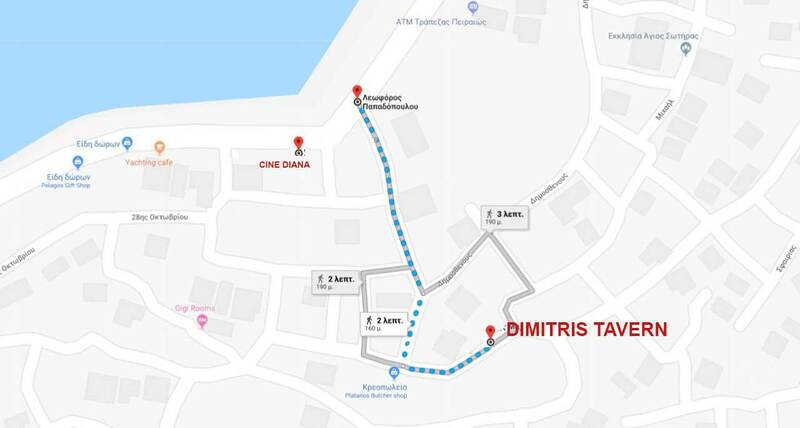 Immediately after the small square, about 20 to 30 meters, you will find the family tavern of Dimitris, along with its butcher shop, with panoramic views of the beach and bay of Poros. At St. George we arrive either by starting from the Town Hall Square and climbing the cobbled streets, or by from the movie theater "Diana" which is located in the other side of the beach of Poros and climbing a few stairs. From wherever you go, in just three minutes you are in St. George.